Naval and air exercises start off South Korean coast despite nuclear threats from North.The US has begun military exercises with its ally South Korea in the Sea of Japan in a show of force that North Korea has warned could trigger nuclear war in the region. 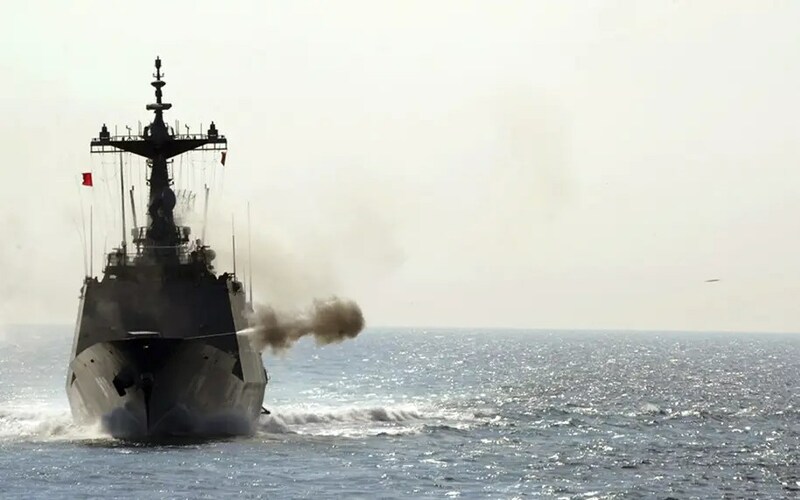 The joint naval and air drills, code-named "Invincible Spirit", began on Sunday and came four months after the sinking of a South Korean warship that has been blamed on the North. About 8000 US and South Korean troops, 20 ships and submarines and 200 aircraft are taking part in the drill, which the US and South Korea have said is aimed at curbing the North's "aggressive" behaviour. The Korean war broke out at dawn on 25 June 1950 when almost a quarter of a million North Korean soldiers swept across the de facto border with South Korea, five years after the defeat of the peninsula’s former occupier, Japan. The assault was a bold attempt to reunite the country, which had been spliced in two along the 38th parallel by the US and the Soviet Union at the end of the second world war. Sixty years later, the peninsula remains divided by a four-kilometre wide, 266km-long buffer zone – the world’s most heavily fortified border – centred on the village of Panmunjom. To this day, almost two million troops, including 1.2 million from North Korea and 28,000 from the US, are engaged in a nervous standoff. Today marks the 60th anniversary of the start of what has come to be known as the war that never ended. After three years of fighting, in which as many as four million people died, the two sides agreed on 27 July 1953 to a shaky truce, though no treaty was ever signed. It is maintained by forces either side of the demilitarized zone [DMZ], the world’s most heavily fortified border. In the intervening years they have taken wildly divergent economic and social paths. The North, the world’s only communist dynasty, remains desperately poor. Last year its per capita income was 1.2m won, 5% of its neighbour’s, as it paid the price for international sanctions, deteriorating trade ties with the South and mismanagement of its command economy. South Korea, a robust democracy since 1987, has embraced the free market and grown to become the world’s 15th-largest economy, a leader in consumer electronics and home to the fastest internet connections on the planet. Occasionally, hopes rise for a breakthrough that will pave the way to friendlier ties and eventual reunification, only to be dashed by isolated skirmishes, the arrival of hardline administrations in Seoul and the perennial unpredictability of a Pyongyang regime, led by Kim Jong-il, determined to turn itself into a nuclear power. As both sides prepared to mark the day communist forces poured over the border, mounting tensions on the peninsula fuelled talk of a second Korean war. Bilateral relations are at their lowest point in years following the March sinking of a South Korean warship, in which 46 sailors died, by a torpedo fired, according to international investigators, by a North Korean submarine. But experts dismiss the fear that the two countries are moving inexorably towards war. “North Korea’s provocations will continue as long as it continues to resist international pressure to denuclearise,” says Kim Sung-han, a professor of international relations at Korea University in Seoul.